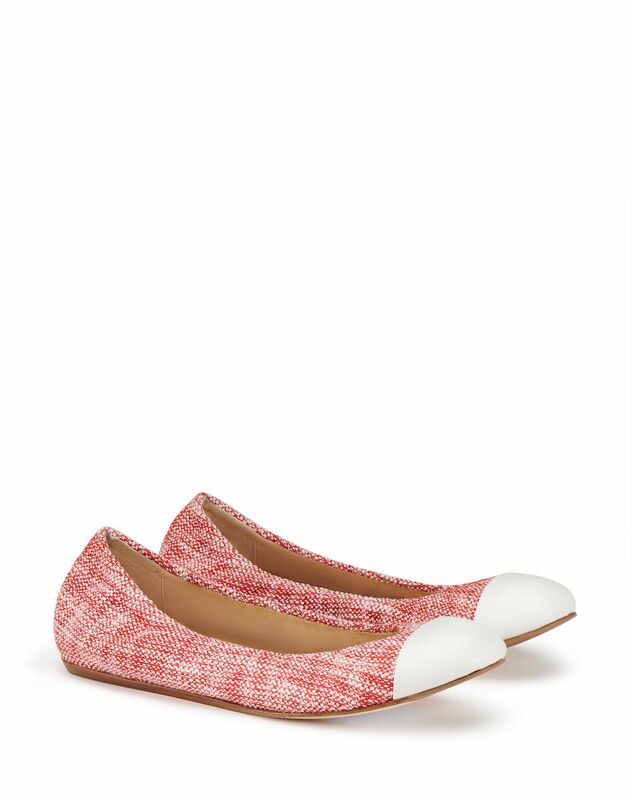 Ballet flat in poppy-colored cotton weave, elasticated with tone-on-tone topstitching, white cap toe and beige insole with gold "Lanvin" logo. 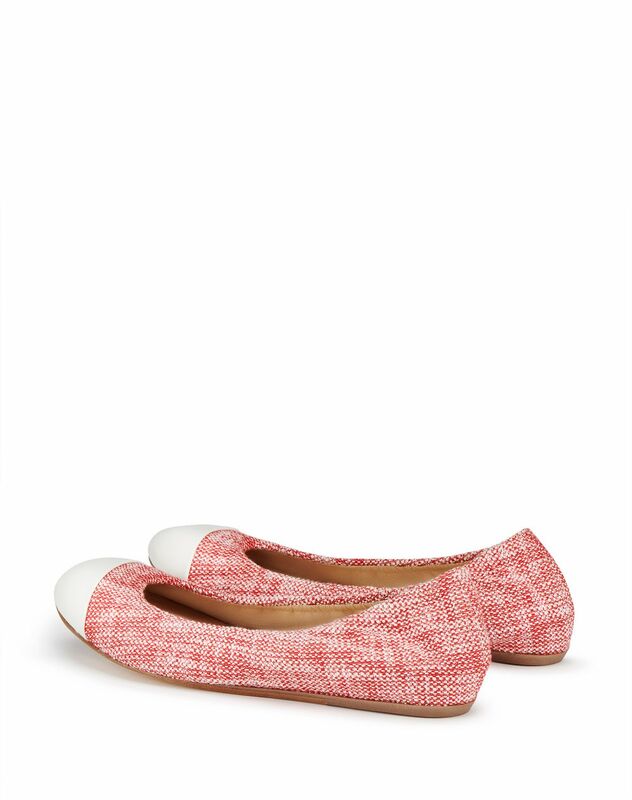 A must-have in any wardrobe, this dual material ballet flat stands out for its tweed-effect weave and contrasting cap toe for an elegant and feminine look. 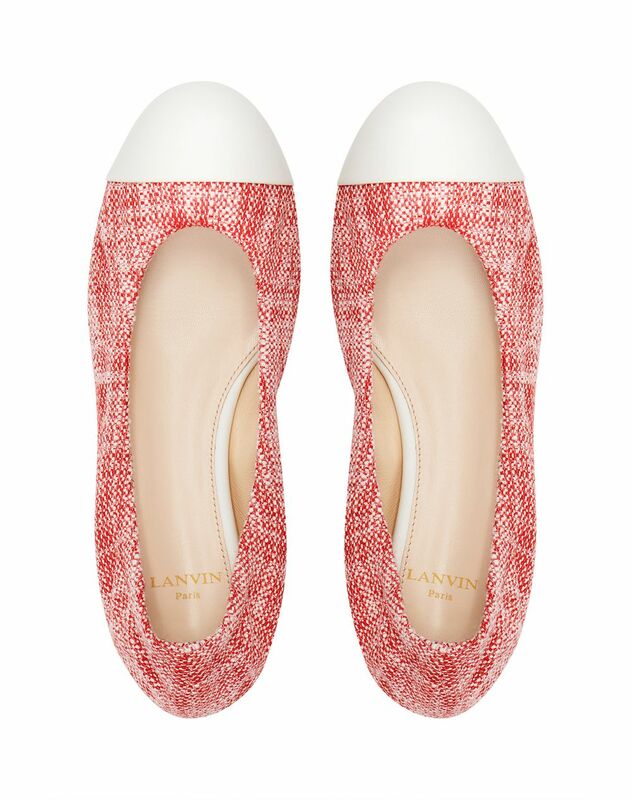 A Lanvin classic, this ballet flat combines comfort and expertise. Main material: 93% cotton weave, 7% polyamide weave. Other material: 100% calfskin leather. Lining: 100% calfskin leather. 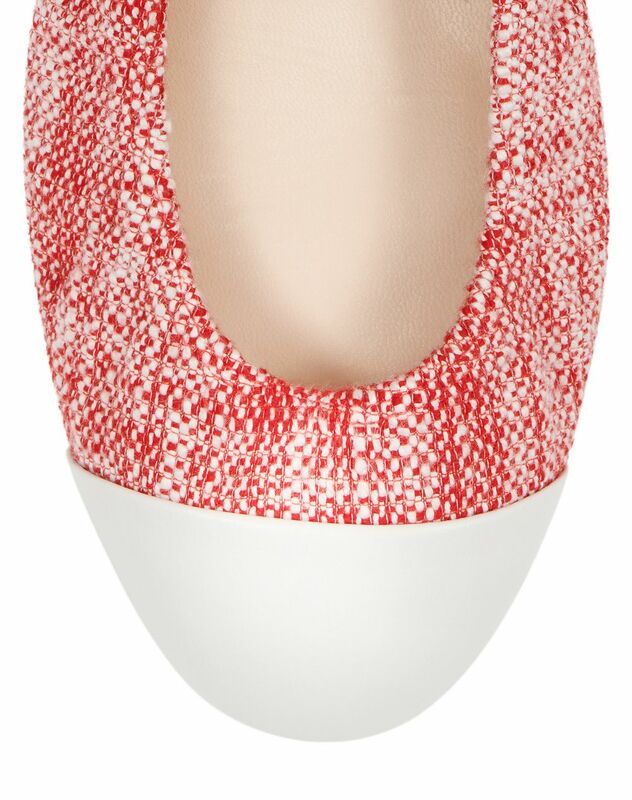 Sole: 70% cow leather, 30% TPU. 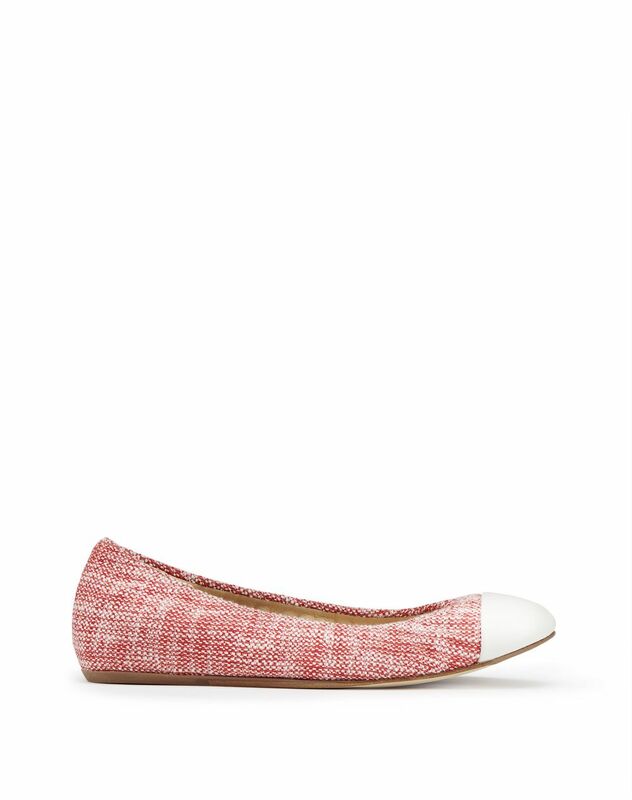 Heel height: 0.2" Made in Portugal.